Star Ware (ISBN 0471750638) is now in its fourth edition, this is maybe because star ware instructs amateur astronomers on how to choose telescopes and accessories and how to use them, and the technology behind telescopes and accessories is always changing with new versions of telescopes and lenses being released all the time. Star Ware is a very useful book and one that I enjoyed reading as it covers the technology products that we as amateur astronomers look at buying everyday. The author is American so all prices are in dollars, and some versions of telescopes and accessories may not be available in the UK, so this is something to remember when reading the book. I would say that about half of the book is given over to discussing the various pros and cons of telescope types, models and mounts. Although the beginning of the book is given over to discussing how the various types of telescopes work and a little bit of history behind them all. Star Ware makes you think about what type of telescope you want to buy, by asking what you want to see with the telescope and how much you have to spend etc. All the major makes and models of telescope are included, such as those from Meade, Celestron, Orion, Astro-Physics and many more. All the various types of telescope are also covered including Reflectors, Refractors, Catadioptric telescopes and the various mounts used with each. Star Ware contains an extensive chapter on eyepieces. This chapter teaches you the basics of how the various types of eyepieces work and then it reviews the various manufacturers of eyepieces, and eyepiece accessories such as barlow lenses, binocular viewers and focal reducers. There is also a hefty chapter on astronomy accessories you may want to purchase including finder scopes, filters, star diagonals, eyepiece cases, books, periodicals, computer software and digital setting circles. There is also a great section on what you may want to look out for if you want to perform some astrophotography, including information on cameras, webcams, CCD cameras and photographic lenses. Star Ware even includes information on observing chairs and observatories. 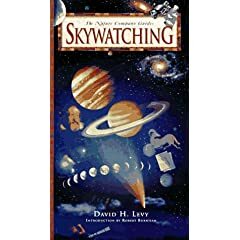 There is even a really nice chapter on DIY astronomy, which tells you how to make your own swinging table, various observing chairs – the LYBAR chair and Ron Boes chair, a lazy laser collimator, a simple dew heater, vibration suppression pads, a simple accessory tray, an equatorial table, and even a skywatcher observatory shelter. So there are loads of DIY projects for you in this book if you fancy giving them a go. Star Ware also has a useful chapter on how to set up your telescope and various mounts after you have unpacked your new telescope, as the author Philip Harrington knows how a lot of telescopes arrive with useless instruction manuals. This chapter also covers how to clean your telescope and mirrors, also how to collimate your Newtonian telescope or Schmidt Cassegrain telescope. The final chapter entitled ‘Tricks of the Trade’ shows you how to evaluate sky conditions and how to traverse the nights sky, by star hopping or by using setting circles and how to polar align your telescope. Overall the nice thing about Star Ware was that it just covered the hardware of astronomy and did not talk too much about the planets and the universe. But also the book was not just about telescope hardware and accessories but it did also tell you about how the various pieces work and the author provides his thoughts on various makes and pieces of equipment. It was also nice to see some tips on how to set up telescopes, polar align, star hop and have lots of tips on various subjects including traveling with your telescope, storing your telescope and maintaining your telescope. Star Ware was a book I thoroughly enjoyed reading and a book I would pickup again for reference in the future. Star Ware did not contain a great deal of images but just the right amount, the only drawback for UK readers was that prices and hardware models were all based on the US.